While doing a similar exercise around the same time last year I found it hard to do the analysis of the year that’s coming to an end in terms of Malayalam Cinema’s output. This was especially true while compiling my list of the best 10 films of the year, but this time around the process has been a lot simpler. In a way it is a little alarming as that means the quality of films has dipped a bit as there haven’t been too many films to short list and fight among themselves for a spot in the compilation. While the year began on a cautious note thanks to the satellite T.V. deals not happening like before, resulting in many films from late 2013 waiting in the cans finally releasing one, by one, eventually the year still saw 163 releases (apparently 150 straight releases and 13 dubbed releases). The year saw a few films doing very well commercially, not all of them featuring big stars. Also as usual a few good films were given the miss by the audience despite the good reviews. 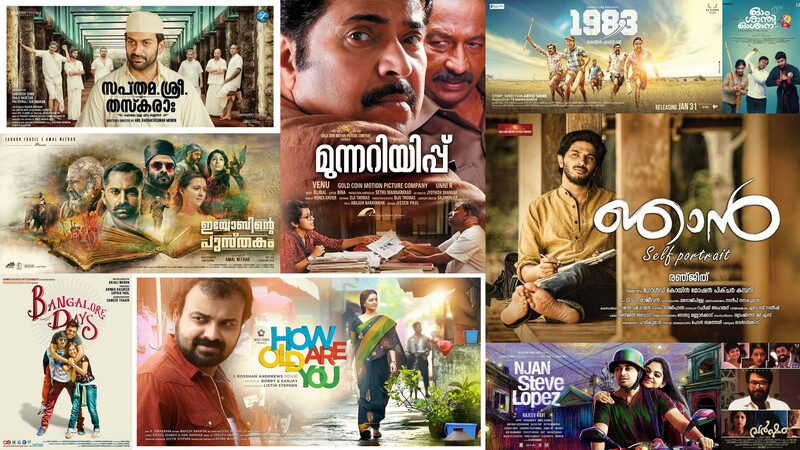 I will obviously be going on to highlight the best 10 films of the year, but before that lets quickly take a look at some of the overall developments and happenings of the year with respect to Malayalam Cinema. Mohanlal who ended 2013 on a spectacular note with Drishyam, did not really have a good outing in 2014. While B.Unnikrishnan’s Mr.Fraud and Arun Vaidyanathan’s Peruchazhi were not all that bad compared to some of his duds in the recent past, they were not too different from what he has done before. Srinath Rajendran’s Koothara which had him in an extended cameo however was a totally bad film and it’s a surprise that he accepted a film which actually lived up to its title. Mammootty continued to remain busy as he had 7 releases and it looked like his bad form would continue till Venu’s Munnariyippu came along. The best Malayalam film of the year, sadly it was not a commercial success while a bad film like Rajadhi Raja worked well commercially. Thankfully Ranjith Sankar’s Varsham was a good film which also did well at the box office. Among the younger lot the year absolutely belonged to Nivin Pauly who turned out to be the man with the midas touch. So successful was he with back to back hits like 1983, Ohm Shanthi Oshaana and Bangalore Days that it looked like his cameo in Lal Jose’s Vikramadithyan was also a good luck factor of sorts, seeing the film’s success. Prithviraj had a mixed year with duds like London Bridge and Tamaar Padaar on the other hand and an average outing like 7th Day and a spectacular Sapthmashree Thaskaraha on the other hand. Fahadh Faasil had 5 releases this year, Bangalore Days and Iyobinte Pusthakam working very well for him while God’s Own Country and Money Ratnam were average outings but the much awaited 1 By Two by Arun Kumar Aravind was a disaster. Dulquer Salmaan started off on a bad note with Salalah Mobiles and Samsaram Aarogyathinu Haanikaram (but its Tamil version-Vaayai Moodi Pesavum worked) but bounced back with Bangalore Days, Vikramadithyan and a good performance in Ranjith’s critically well received Njaan. 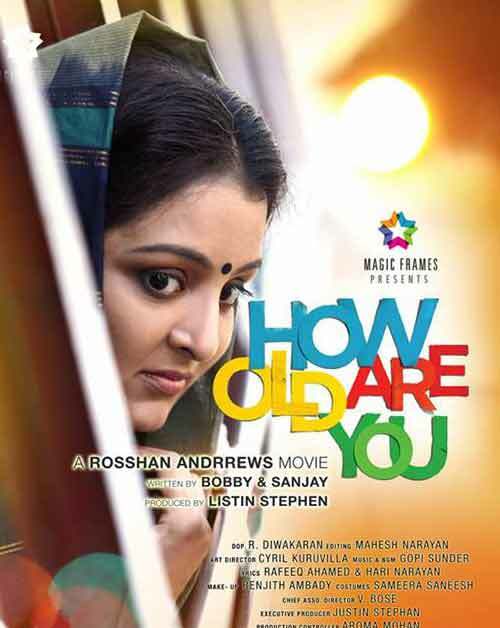 Jayasurya did not find success with his solo hero outings and in case of Kunchacko Boban the only success was in the form of Rosshan Andrrews’s How Old Are you, where the success was driven by Manju Warrier’s comeback. Dileep continued to work in routine films and while Raffi’s Ringmaster was a success, he faced failures in the form of Joshiy’s Avatharam and Sudheesh Sankar’s Villali Veeran. Jibu Jacob’s Vellimoonga was the dark horse Malayalam film of the year and a surprise hit which catapulted Biju Menon into prominence. Going back to How Old Are You and Manju Warrier, it was good to see a few good Malayalam films which gave prominence to female characters. Apart from How Old Are You I can also think of Jude Anthany Joseph’s Ohm Shanthi Oshaana and Anjali Menon’s Bangalore Days, both of which had Nazriya Nazim playing strong author backed roles. Venu’s Munnariyippu (Aparna Gopinath), Amal Neerad’s Iyobinte Pusthakam (Padmapriya), Binu’s Ithihasa (Anusree) and Ranjith Sankar’s Varsham (Asha Sarath) also had well written female characters. Coming to filmmakers T.V.Chandran completed his Gujarat Riots trilogy with Bhoomiyude Avakashikal which did the festival rounds, Shaji N.Karun’s Swapaanam was not in the league of his earlier films, Lal Jose scored a hit with a slightly ordinary film-Vikramadithyan, Joshiy had two failures-Salaam Kashmier and Avatharam and Priyadarshan came up with a dud once again, Aamayum Muyalum. The younger lot of filmmakers continued to impress as we saw Rajeev Ravi and Anil Radhakrishnan Menon come up with good second films for themselves, Njan Steve Lopez and Sapthamashree Thaskaraha respectively. Abrid Shine and Jude Anthany Joseph made confident debuts with 1983 and Ohm Shanthi Oshaana respectively, Anjali Menon came up with the blockbuster of the year, Bangalore Days and Amal Neerad finally delivered to his potential with the wonderful Iyobinte Pusthakam. And now it’s time to take a look at the best 10 Malayalam films of the year. Remember these are my favourite films and you are free to disagree with my choices. The films are listed in the order of their release date (Jan-Dec). Abrid Shine made a smashing entry as filmmaker with this lovely cricket based film. While there have been many cricket based films in India before this Abrid takes care to come up with a tale that would appeal to even those who are not lovers of the game. Drawing parallels between the lives of Rameshan (Nivin Pauly) and the cricketing career of Sachin Tendulkar, the film establishes the connect in a wonderful manner. 1983 actually starts off in 1983 when a 10 year old Rameshan sees the Indian Cricket Team winning the World Cup on T.V, we are then literally led through his life as we see him as a school kid, falling in love, losing interest in studies, joining his father at work reluctantly, getting married etc. In all these moments what’s constant is his interest in cricket. The film ends on a realistic note making the film all the more appealing. Nivin Pauly is ably assisted by a good supporting cast and Gopi Sundar’s ‘Olanajali Kuruvi’ (sung by P.Jayachandran and Vani Jairam) turned out to be one of the most popular songs of the year. 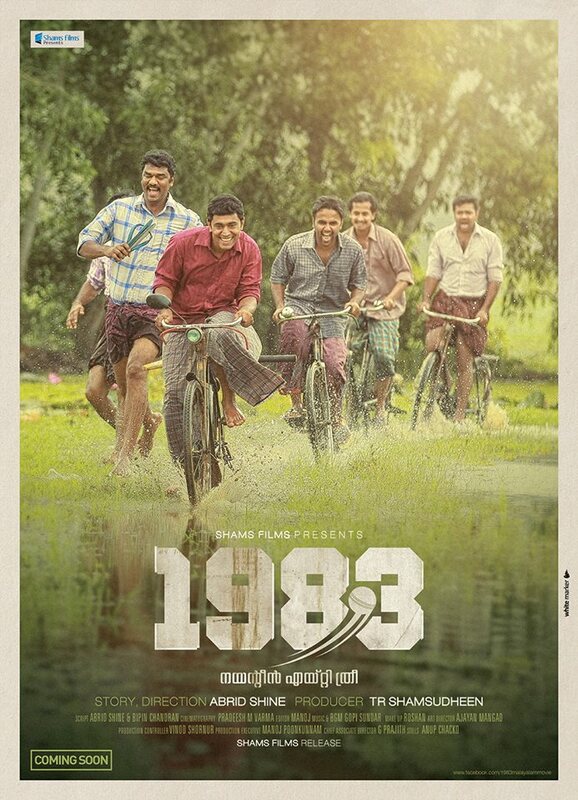 1983 was a good start for Malayalam Cinema in the year of 2014. A chick flick like none other, this film by Jude Anthany Joseph was not just his debut film but also a film which will always be remembered for the way it has portrayed women in well written characters. The tale starts off in 1983 with the birth of Pooja Mathew (Nazriya Nazim) but the real proceedings begin in 1999 when Pooja is in class 10 and the film talks of the next 6-7 years in her life. During this phase we see Pooja going through various stages, freaking out with her friends, falling in love with Giri Madhavan (Nivin Pauly) who tells her she’s too young for all this, doing well in studies, eventually becoming a doctor. The humour in the film is wonderful and there are some witty moments and dialogues in the film which add to the appeal of the film. Nivin Pauly and Aju Varghese lend great support to Nazriya who carries off the central role with great aplomb. The film also depicts the time period accurately with the use of relevant props and settings. In Renji Panicker we also got to see probably the coolest dad portrayed in Malayalam Cinema in recent times. Shaan Rahman’s music was an added attraction and Ohm Shanthi Oshaana turned out to be a fun film for the entire family with repeat value. This was a film which was in the news ever since it was announced as it was meant to be Manju Warrier’s comeback film. And with rumours of the story being inspired by her real life, the curiosity factor only increased as the release neared. But despite the pressure on his shoulders to deliver, it was indeed commendable on the part of Rosshan to present a wonderful platform to showcase Manju Warrier’s comeback. After a well made cop thriller (Mumbai Police) Rosshan here conveys a tale about Nirupama Rajeev (Manju Warrier) who at the age of 36 realizes that there is more to life than just her family and that there is no age limit to dreaming and living one’s dreams. With a good supporting cast led by Kuchacko Boban, and Bobby-Sanjay’s writing bringing in some lovely moments, the film turned out to be an interesting watch. Despite comparisons with English Vinglish, the film does appear unique in terms of its treatment. The Ustad Hotel combination of Anwar Rasheed and Anjali Menon got back together with Bangalore Days. This time around Anjali took on the directorial mantle as well apart from writing while Anwar stuck to producing the film. This was one of the most eagerly awaited films of the year and the starcast comprising of Dulquer Salmaan, Nivin Pauly, Nazriya Nazim, Fahadh Faasil, Parvathy Menon and Nithya Menon more than explains it. Set in Bangalore, the tale revolves around Dulquer, Nivin and Nazriya, cousins who all end up in Bangalore for different reasons and the people around them. While I would rate Manjadikuru and Ustad Hotel as better written films I do admit that Bangalore Days is probably the closest Malayalam Cinema has come to in terms of a Pan Indian multi star cast film as this is the sort of film which would fit into any milieu in India ideally. The film does appear influenced by various Bollywood films especially Rock On, but there are enough and more moments in the film which you remember long after you’ve seen it. Anjali ensures that the film has enough highpoints in the film, both emotionally and otherwise. 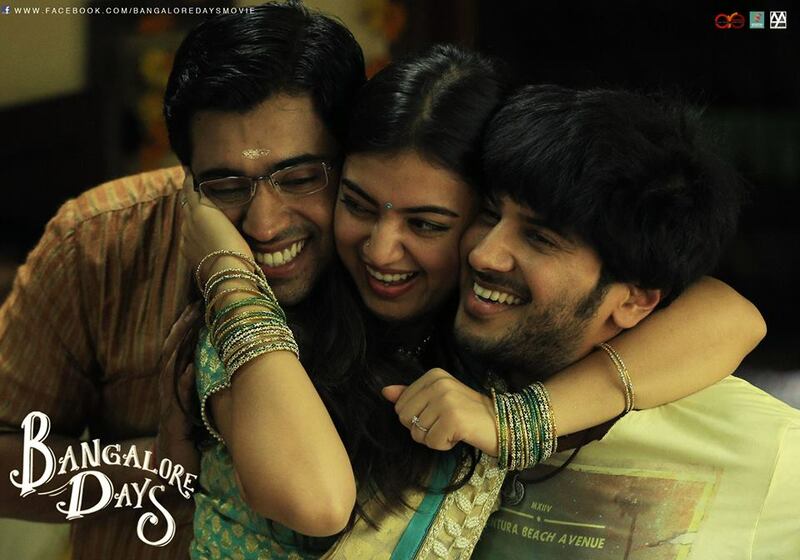 Ultimately Bangalore Days went on to become the blockbuster of the year and probably had the best ever release across India for a Malayalam film. Little wonder that the film is now getting ready to be remade in Tamil, Telugu, Hindi etc. 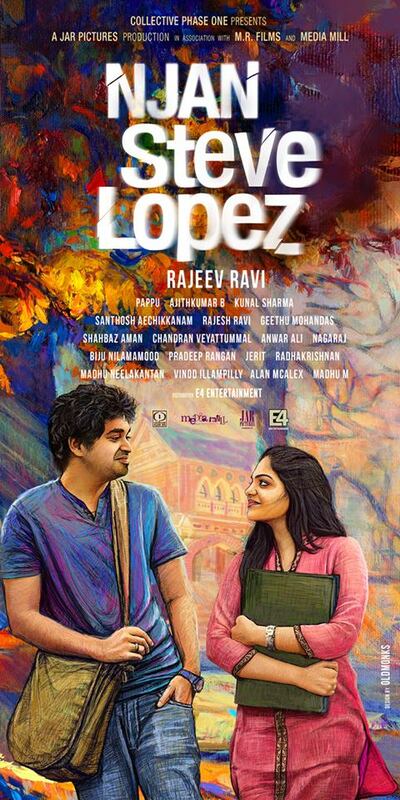 After making his filmmaking debut with Annayum Rasoolum (2013) Rajeev Ravi returns with his second film Njan Steve Lopez, this time the tale being set in Thiruvananthapuram. Launching two actors, Farhaan Faasil (Fahadh’s younger brother) and Ahaana Krishna (daughter of popular character actor Krishna Kumar), this is a film which takes time to warm up to. We see Steve (Farhaan) as a carefree college student who is more interested in whiling away with his friends and boozing, rather than academics. He falls for his childhood friend and neighbour Anjali (Ahaana) and while things seem to continue as usual, all of a sudden things change when one day he happens to see a man being attacked in broad daylight. With no one else coming to his rescue, Steve rushes him to the hospital but this seemingly harmless incident turns around his life completely. The film in many ways is like an attempt to hold a mirror in front of us as we realize that this is something that could happen to us too. While this may not be an easy watch for all I would say that Njan Steve Lopez is a very relevant film in today’s times, it’s a film which makes you question yourself as well. Munnariyippu is a unique film which might go down in history probably as the best Malayalam film of 2014 and yet be called an underrated film. 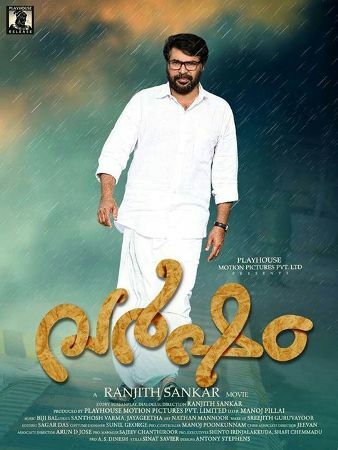 Despite being a film with A list actors, toplined by a superstar (Mammootty), a director who’s also a renowned cinematographer and an industry veteran cinematographer (Venu), a release period that looked ideal as it came out 2 weeks before the crowded Onam season yet the film did not find many takers. And before anyone suggests that it’s an offbeat film, let me tell you that while it may not be a regular commercial subject, it’s a riveting film right till the end. The film mainly is about 2 characters, C.K.Raghavan (Mammootty), a jail prisoner who has long served his period for two murders, but happy to continue being in jail and Anjali Arrackal (Aparna Gopinath) a lady journalist who comes across Raghavan while meeting the jail superindent (Nedumudi Venu) to work on his book. Aided by a wonderful supporting cast which includes a well introduced cameo by Prithviraj, this is an unconventional thriller which I am sure will catch you unawares as the film culminates. Mammootty who has been having a torrid time of late with a spate of bad films redeemed himself to an extent with this wonderful film (and Varsham later on). Aparna Gopinath’s performance, Bijibal’s BGM and Unni.R’s writing have all ensured that this turns out as a landmark film. For lovers of serious cinema this is a film that I would seriously recommend to understand why Malayalam Cinema still has the ability to come up with well written films where even a superstar surrenders to the character he is portraying. Heist films seem to be the in thing now as everyone seems to be making heist films these days and we even saw SRK and Farah Khan come up with one this year (Happy New Year). But while every heist film cannot be and should not be another Oceans Eleven or Italian Job, what we need is a film which is rooted to our culture and surroundings and takes note of what can be achieved within the space. Considering all this Anil Radhakrishnan Menon’s second Malayalam film Sapthamashree Thaskaraha was a wonderful follow up act to his previous film, the National Award winning North 24 Kaatham. A smart and witty heist film, Sapthamashree Thaskaraha is all about a bunch of 7 guys, just out of prison and who attempt a heist. Despite being one of the producers and being part of the cast, it was great to see a popular actor like Prithviraj not hogging the limelight and allowing others to get ample visibility. Actors like Neeraj Madhav, Chemban Vinod and Sudheer Karamana get even more mileage than Prithviraj and Asif Ali and filmmaker Lijo Jose Pellissery features in one of the best cameos of the year. The film has some really witty dialogues, doing full justice to the Thrissur dialect. The film is also topical in many ways, throwing a nod to many incidents/developments that we’ve been witness to in recent times. After the disastrous Kadal Kadannu Oru Maathukutty (2013) Ranjith went back to a literary adaptation with his next film Njaan. Based on K T N Kottur Ezhuthum Jeevithavum by T. P. Rajeevan, the film features Dulquer Salmaan in the lead. Dulquer plays a blogger Ravi Chandrasekhar who in the process of blogging on the legendary K.T.N.Kottur decides to make a play on him. In the process the film weaves back and forth in time as on the one hand we see Kottur’s story up to the point he disappears on 15th August, 1947 and on the other hand we see Ravi going through the motions, researching and presenting his play. 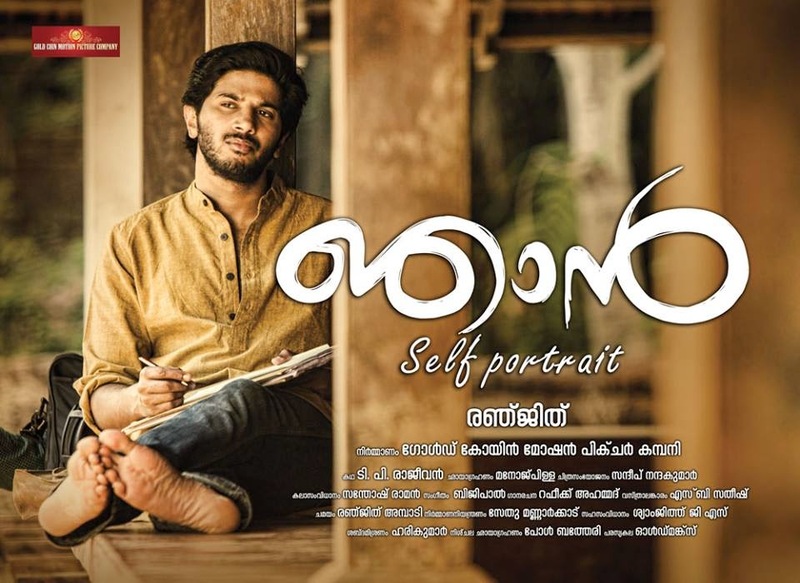 Portraying both Kottur and Ravi, Dulquer is lucky to get such a film early on in his career and he puts in a spirited performance despite looking slightly out of place initially. Backed by a good supporting cast, Njaan despite its slow pace makes for an interesting watch. It isn’t the best of Ranjith, far from it in fact but it’s a reminder that he is still one of the better writer-directors in the industry. A year ago people would have laughed if I would have said an Amal Neerad film will not just feature among the best Malayalam films of the year, but also among the best Indian films of the year. But with Iyobinte Pusthakam he has achieved exactly the same, and achieved it in great style. Easily the film with the best ensemble cast in this whole list, each and every actor does justice to this period tale set in the hills of Munnar. A tale of treachery, revenge and passion that runs in breath taking fashion, the visuals by Amal Neerad and the music by Neha S.Nair and Yakzan Gary Perreira work well for the film. Despite being the producer (along with Amal Neerad) it’s good to see Fahadh Fazil doing justice to his character and ensuring others like Lal, Jayasurya, Chemban Vinod, Jinu Joseph, Padmapriya etc get ample scope as well. With Iyobinte Pusthakam Amal Neerad finally managed to merge his obsession for style with substance, resulting in a cinematic treat.Except for Amala Paul‘s distracting presence (it looks out of place in a film which otherwise scores well on its detailing) in a song I hardly have any issues with this film. 2013 saw Ranjith Sankar making it to this list with Punyalan Agarbathis and this year he makes it once again with Varsham which sees him work with Mammootty for the first time. P.K.Venugopal (Mammootty) and Nandini (Asha Sharath) dote on their teenaged son Anand (Prajwal Prasad). Venu is a little self-centred and a shrewd businessman while Anand is exactly the opposite of his father. Disaster strikes one day in the form of Anand’s death which not only shatters the parents who lose all hope in life, till Venu identifies a true purpose in life towards which he strives for, with Nandini by his side. 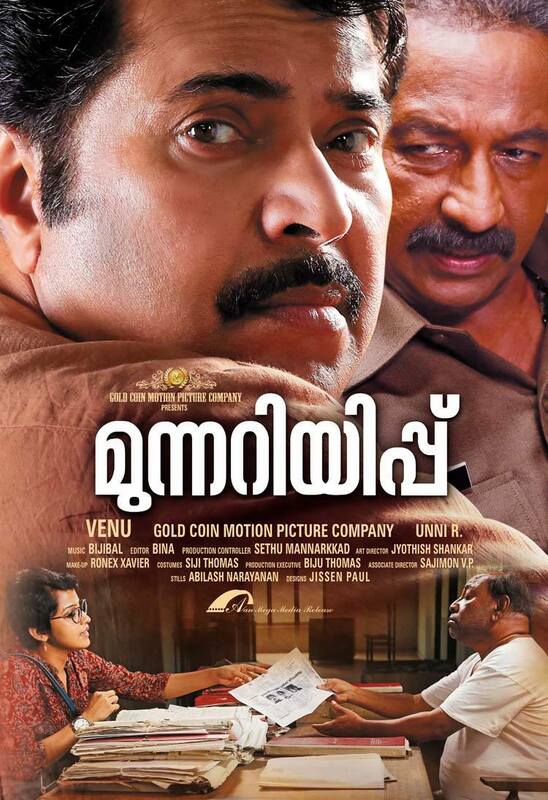 While Mammootty has played various emotional roles in the past, it is still a treat to watch him play Venu, a character who undergoes massive transformation throughout the tale. With Varsham, Ranjith Sankar talks about a relevant topic, the menace of various private finance companies commonly referred to as ‘blade companies’ for the way in which they fleece the public. Mammootty and Asha Sharath share great chemistry, making the film a pleasant watch overall. Varsham is an emotional roller coaster ride but one that’s relevant and topical. The surprise hit of the year, this was the dark horse in every sense. With the film lying in the cans for a while and distributors shying away, the producer Shashidharan Ullatil was forced to release the film himself. Hence Vellimoonga released without any initial fanfare but the word of mouth soon started taking people by surprise and eventually Shashidharan had the last laugh. Biju Menon plays Mamachan an ambitious politician in his early 40’s who is still unmarried as he had to take over the family responsibility after his father’s demise. With elections around the corner he also ends up falling in love with a girl who turns out to be the daughter of someone he liked in school :). With a premise like this the film is a fun ride all the way but never going overboard. Partly satirical too in a way, Vellimoonga is a film which sees Biju Menon in great form and the rest of the star cast including Aju Varghese and Asif Ali lend good support. So this was all about Malayalam Cinema in 2014, let us wait and watch how the year ahead turns out for the industry. Do feel free to use the comments section to tell me what you feel about this compilation, irrespective of whether you agree or not. And yes do share your list as well. Have seen most of the films in this list barring Varsham, Iyobinte Pusthakam, Vellimoonga and Njan. Hope to soon catch up with these films. Munnariyippu tops the list for me followed by Ohm Shanthi Oshanaa followed by Sapthamashree Thaskaraha, 1983, Bangalore Days & How Old Are You. I wasn’t particularly impressed by how Manju Warrier’s character easily forgives her husband and child for treating her badly, otherwise it was a good film. I found Njan Steve Lopez average, has a couple of good moments and also conveys the loss of innocence quite well. But overall it was an okay film in my opinion.